The urge to add custom notes, thoughts and remarks is a pretty regular thing that might happen to the book worms while reading ebooks. While you read a paper book you definitely can add the notes right in the paper, however, with the electronic books this process might be a bit trickier. 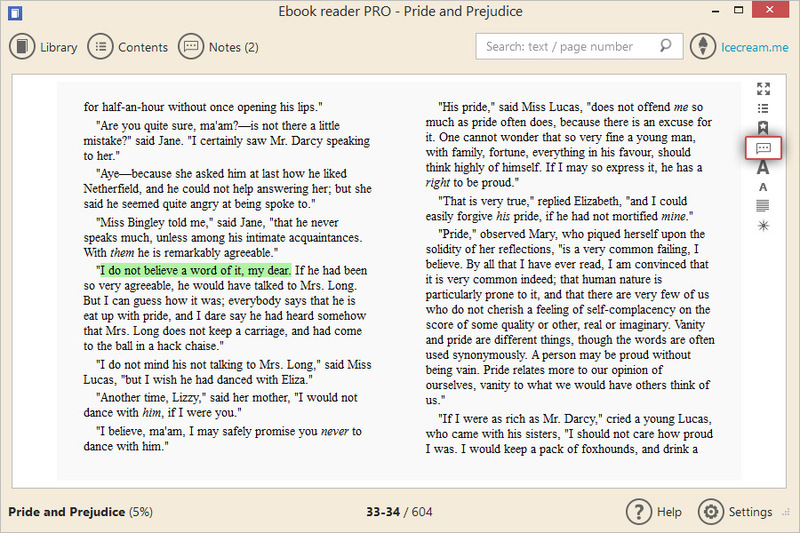 Luckily, with Icecream Ebook Reader you can add notes to the text of ePub, MOBI and FB2 files. The whole process is very simple and highly intuitive. 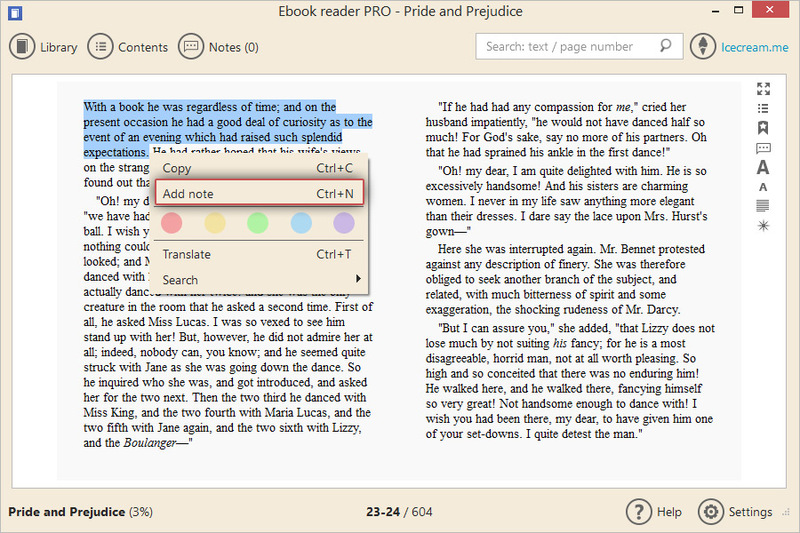 Read the guide below to learn how to add notes with Icecream Ebook Reader. The latest version of the program is always available on the official webpage of the program, so download download Icecream Ebook Reader from our website and complete the installation by proceeding the steps offered by the Installation Wizard. As soon as it's done, open the program to start working with it. Click the “Add books to your library so start reading” button in the center of the main program's window to open Windows Explorer to browse for the files supported by the program. 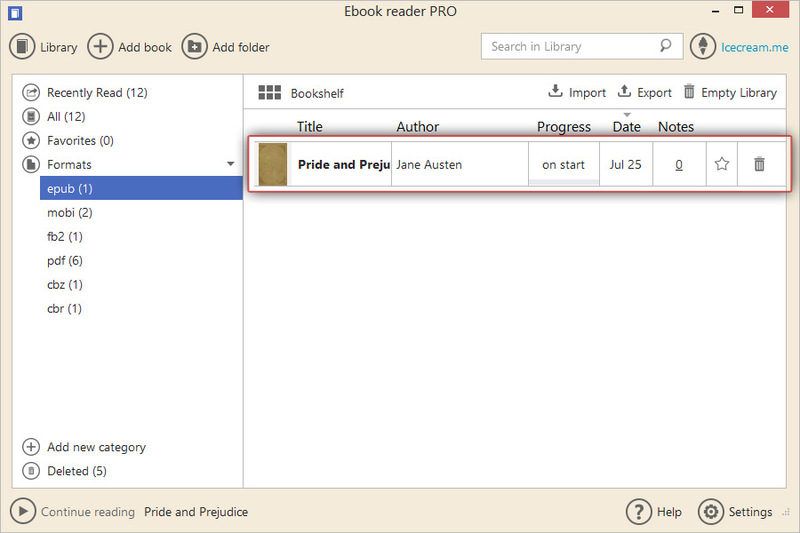 Click the “Add book” button in the upper left hand side of the program's window to add books one by one and “Add folder” button to add folders with multiple ebooks at once. 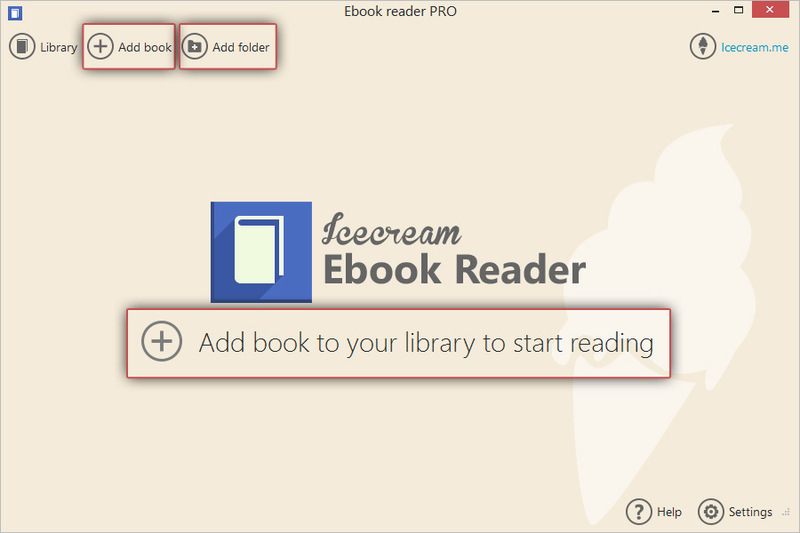 Icecream Ebook Reader supports the addition of the ebooks by means of drag and drop mechanism as well. As soon as the book is added to the Library, double click its title or thumbnail (if the Library is displayed in Bookshelf view) to open it. Once the book of ePub, MOBI or FB2 format is opened, you can proceed to the next step. 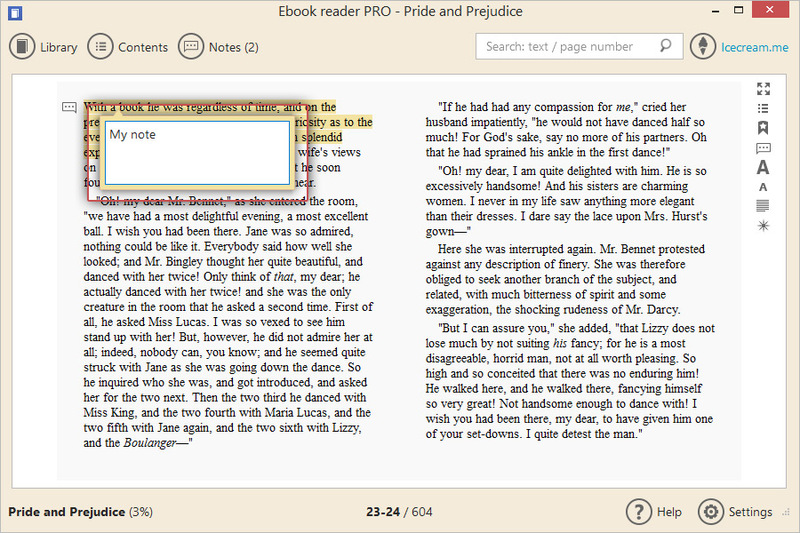 Open the ebook on the right page and place the mouse cursor at the beginning of the text to which you wish to add the note. Hold the left mouse button and select the needed text, as soon as you selected all the text release the cursor. When the cursor is released, the text context menu will show up. Click the “Add note” option from the menu or press Ctrl+N combination to add a note to the selected text. Right after that a new field to which you can enter the body of the text will appear. Type in the needed text into this field. When everything needed is entered into the field, click the mouse cursor anywhere outside the notes field but within the program's interface to finish the annotation input. As soon as it's done, the note with the entered text will be saved. It can be further viewed, edited or deleted from the book's Notes panel.